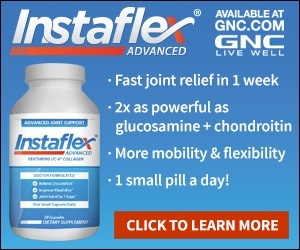 Instaflex will snag you into buying the product. They have you pay $4.99 for shipping for the "free" trial and then start billing you for full doses. The fine print buried in terms say they will do this but unless you read it all you'll miss it. Do NOT sign up for the free trial! You will regret it. They will not refund your money if you try to return the bottles. I have noticed no benefit from using it. That may be different for different users. If you want to try it get it at GNC and not over the web. Review #219152 is a subjective opinion of 123bob. I got the free trail and it seemed to help a little. But lost track of date of auto-shop (they always tell you how long you have, look in fine print) and it hit bank at a bad time. Lady on phone when I called very nice. Product had already shipped so could not refund at that time. This is how most maul order products works so totally understand. I just automatically assume that an auto-fill is going to be issued if I get a free trial of anything. 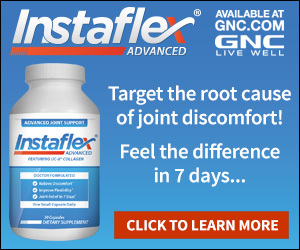 I didn't notice any difference when using Instaflex, so I called to cancel the auto-ship. I spoke with a very friendly and professional rep who offered to send another free trial so I could continue trying it for an extended length of time to see if it would work. I thanked her, but said I would just go to GNC if I decided to continue. She understood, cancelled the auto-ship and sent a confirmation of the cancellation to my email address. I couldn't have been happier with the customer service, which is why I'll probably go to GNC for another bottle. I got hit with a 3 month supply before I figured this out. Thats $75 per bottle that they will not refund except for the last one....even though I never opened the bottles. This is a true scam. They will only take them back within 30 days of shipping. Don't sign up for the trial unless you plan to use this stuff. We do offer a 30-day money back guarantee on all shipments. If you have product you wish to return, please contact us at 877-869-3310 or support@instaflex.com and we will be happy to help you with the process.